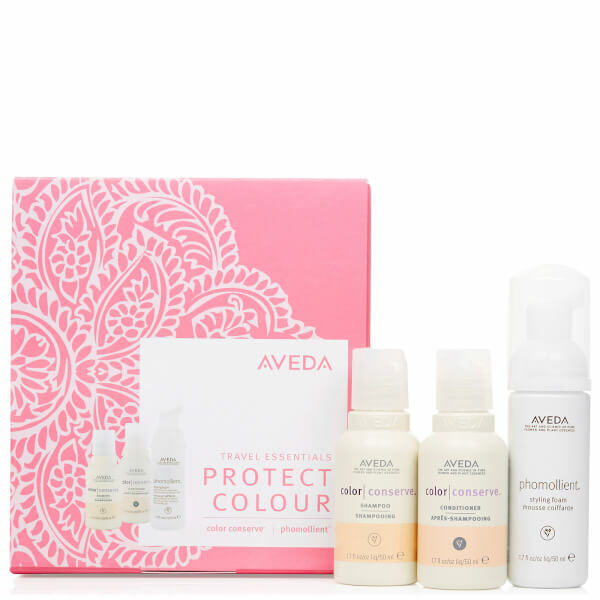 Restore vibrant locks with Aveda's Colour Discovery Set; a haircare trio that work in tandem to cleanse, condition and style. Housed in a branded gift box. Extend the vibrancy of colour-treated hair with this wonder product. A gentle plant-infused formula with 100% organic aroma, designed to resist colour fading and promote shine. 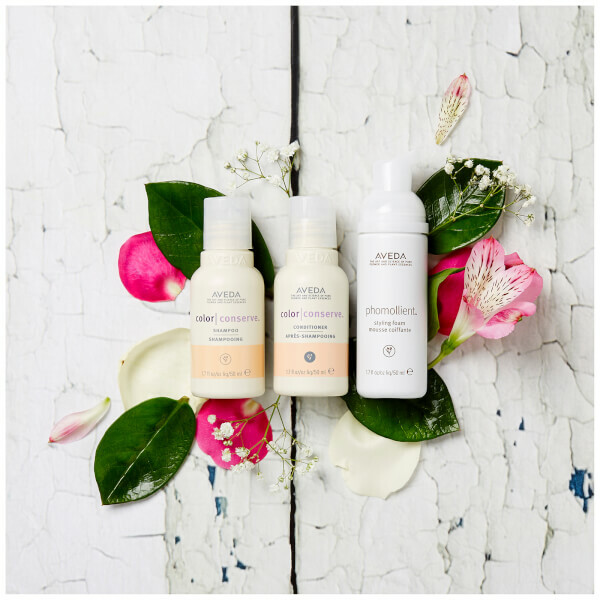 The formula keeps hair brighter for longer and protects it from the damaging effects of sun, water and environmental stresses. 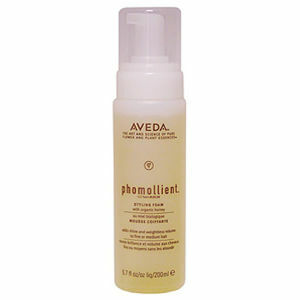 A restorative conditioner that seals the hair cuticle to lock in colour and shine. The weightless formula detangles hair whilst adding brilliant vibrancy for healthy locks that boast incredible gloss. Protects coloured hair from the damaging effects of environmental aggressors and chemical treatments. Luxurious botanical aroma. Providing weightless volume and enhancing shine, the foam utilises air-infused technology to leave your tresses looking plumped up. Formulated with Certified Organic Honey and Marshmallow Root, the multi-tasking foam helps to detangle hair for improved manageability. Shampoo: Massage into wet hair and scalp. Rinse. Conditioner: Massage into scalp and hair after shampooing. Rinse. Foam: Spray 1-2 pumps into hand. Rub hands together to distribute evenly and apply to damp hair; distribute near the roots for added lift. Shampoo: Water\Aqua\Eau, Sodium Methyl Cocoyl Taurate, Babassuamidopropyl Betaine, Sodium Chloride, Disodium Coco-Glucoside Citrate, Dimethicone, Glyceryl Oleate, Coco-Glucoside, Hydrogenated Lecithin, Stearic Acid, Potassium Stearate, Lycopene, Lecithin, Tocopherol, Isoamyl Cinnamate, Amyl Salicylate, Sucrose Palmitate, Dehydroxanthan Gum, Polyglyceryl-10 Oleate, Cistus Ladaniferus Oil, Ascorbic Acid, Polyquaternium-10, Cinnamidopropyltrimonium Chloride, Laureth-4, Laureth-23, Glycerin, Polysorbate 80, Sodium Gluconate, Citric Acid, Fragrance (Parfum), Linalool, Citronellol, Limonene, Magnesium Nitrate, Potassium Sorbate, Benzoic Acid, Methylisothiazolinone, Methylchloroisothiazolinone, Annatto (CI 75120) . Conditioner: Aqueous (Water\Aqua\Eau) Extracts, Camellia Sinensis (Green Tea) Leaf Extract, Vitis Vinifera (Grape) Seed Extract, Sedum Rosea Root Extract, Pinus Tabulaeformis (Pine) Bark Extract, Astragalus Membranaceus (Milk Vetch) Root Extract, Citrus Aurantium Amara (Bitter Orange) Peel Extract, Rehmannia Chinensis Root Extract, Schizandra Chinensis Fruit Extract, Cetyl Alcohol, Stearalkonium Chloride, Glyceryl Stearate, Distearyldimonium Chloride, Cinnamidopropyltrimonium Chloride, Ricinus Communis (Castor) Seed Oil, Simmondsia Chinensis (Jojoba) Seed Oil, Cistus Ladaniferus Oil, Hydrolyzed Wheat Protein PG-Propyl Silanetriol, Lycopene, Sucrose Palmitate, Panthenol, Lecithin, Tocopherol, Amyl Salicylate, Isoamyl Cinnamate, Fragrance (Parfum), Linalool, Limonene, Citronellol, Guar Hydroxypropyltrimonium Chloride, Cetrimonium Chloride, Phenyl Trimethicone, PEG-100 Stearate, Stearamidopropyl Dimethylamine, Dimethiconol, Cyclopentasiloxane, Polyquaternium-7, Polyglyceryl-10 Oleate, Glycerin, Citric Acid, Sodium Gluconate, Phenoxyethanol. Foam: Aqueous (Water\Aqua\Eau) Extracts, Arctium Lappa (Burdock) Root Extract, Althaea Officinalis (Marshmallow) Root Extract, Polysorbate 20, Glycerin, Polyquaternium-11, Polyquaternium-10, Honey\Mel\Miel, Oryzanol, Tocopherol, Glycine Soja (Soybean) Oil, Fragrance (Parfum), Geraniol, Linalool, Farnesol, Benzyl Benzoate, Amyl Cinnamal, Benzyl Salicylate, Citronellol, Eugenol, Limonene, Citric Acid, Sodium Gluconate, Potassium Sorbate, Phenoxyethanol.